NEW YORK STATE (October 10, 2013) – Governor Andrew M. Cuomo has proclaimed October 2013 as Domestic Violence Awareness Month in New York State, and he encourages all New Yorkers to participate in the State’s annual Shine the Light on Domestic Violence campaign by wearing purple on Wednesday, October 16. Coordinated by the state Office for the Prevention of Domestic Violence (OPDV), the Shine the Light campaign promotes the use of the color purple – long associated with domestic violence awareness – in creative ways throughout October to raise awareness of the issue and efforts to combat it. For example, landmarks and buildings across the state, including Niagara Falls, Syracuse University’s Hall of Languages, Schenectady City Hall, the State University of New York’s Administration Building, the Mid-Hudson Bridge, and Times Square, have been bathed in or featured purple lights as part of the campaign. More than 500 entities across the state, including municipal governments, the courts, private businesses, colleges, non-profit organizations, law enforcement agencies and crime victims’ assistance programs, have participated in the campaign since it began in 2008. In addition to using purple lights to illuminate buildings and other structures, groups have used purple in a variety of ways, including creating a “living” purple ribbon, composed of individuals wearing purple and photographed in the iconic shape; hosting a purple scavenger hunt; and hanging banners and distributing wrist bands and other materials with awareness messages and information about where to get help. 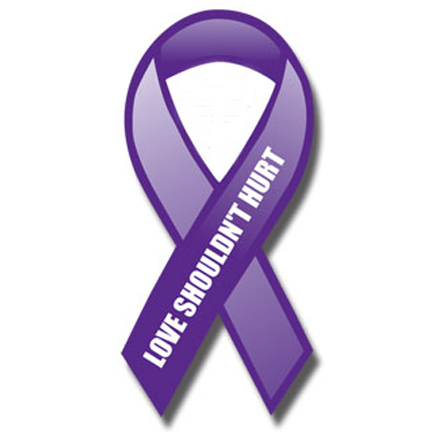 Entities and individuals who participate in the State’s Shine the Light campaign by turning purple or wearing the color on October 16 or any other day in the month are encouraged to submit their photos to opdvpurple@opdv.ny.gov so that OPDV may share them via Facebook (www.facebook.com/nysdomesticviolence) and Twitter (@NYSOPDV). Join the conversation on Twitter: #shinethelight. New York is the only state in the nation to have an executive-level agency that has the sole mission of fighting and preventing domestic violence. Since taking office, Governor Cuomo has made strengthening the state and local response to domestic violence, a crime which disproportionately affects women and children, a priority. Victims of domestic violence and sexual assault can seek help 24 hours a day by calling New York State’s toll-free hotline: 1-800-942-6906 or 1-800-942-6908 (Spanish language). There are also programs statewide that provide direct services to victims of domestic violence and sexual assault, including counseling and emergency shelter for victims and their children. Information about those programs is available via New York State Coalition Against Domestic Violence website: http://www.nyscadv.org, and the New York State Office of Victim Services (www.ovs.ny.gov) also funds 186 programs that assist crime victims across the state. The Office for the Prevention of Domestic Violence (www.opdv.ny.gov) is charged with improving the response of state and local communities to domestic violence. OPDV provides guidance to Executive staff on policy and legislation; conducts statewide community outreach and public education programs; and trains professionals on addressing domestic violence in a wide array of disciplines, including child welfare, law enforcement and health care.